This is a cool one: a senior history major--Denton Ong--made it into the Washington Post's "Made by History" section, with this op-ed on President Trump's authority to declare a national emergency in order to build a border wall. John Fabian Witt, Yale Law School, reviews Richard Brookhiser’s new biography of John Marshall in the New Republic "The Operative: How John Marshall built the Supreme Court around his political agenda"
Looking for a new podcast? We like Medieval History for Fun and Profit, with Drs. Alice Rio and Alice Taylor, both of King's College London. Episode 13 is on justice. The Call for Proposals for the 2020 annual meeting of the Organization of American Historians closes February 1. 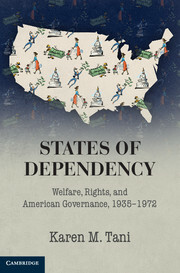 The theme is “(In)Equalities.” "The 2020 Program Committee, co-chaired by Margot Canaday, Princeton University, and Craig Wilder, Massachusetts Institute of Technology, invite submissions to the 2020 OAH Annual Meeting in Washington, D.C. Sessions will be scheduled April 2-4, with half and full day workshops on Sunday, April 5." 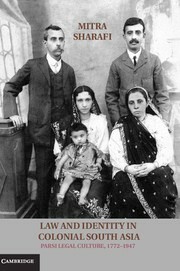 ICYMI: More on Women in Legal Education Oral History Project, with a comment from Marie Failinger, in the Mitchell Hamline News. 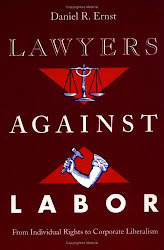 The Arizona Daily Wildcat interviews University of Arizona law professor Andrew Coan on his book Prosecuting the President: How Special Prosecutors Hold Presidents Accountable and Protect the Rule of Law. Federal judge Richard Gergel’s book Unexampled Courage: The Blinding of Sgt. 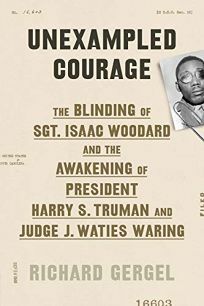 Isaac Woodard and the Awakening of President Harry S. Truman and Judge J. Waties Waring discussed with an interview of the judge in the New York Times.